Also featuring my hard-won Geeks Who Drink prize glass. I picked up a bottle of Devil ‘N Cider from Cockrell Hard Ciders from a recent trip to Schilling Cider house. 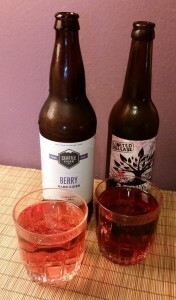 I’ve never seen anything from this company on shelves before, and the idea of raspberry habanero cider sounded pretty interesting. 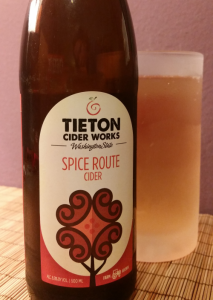 To sum things up: there is literally nothing about this cider that is subtle or mild. Let’s start with the aroma: it’s a faceful of aggressive floral fruity raspberry. It hit me from feet away. If I concentrate, I can pick up a little of the habanero, but the fruit is more or less completely dominant. It’s also a dramatic-looking reddish-orange, very clear and very still. The flavor is equally powerful, on the other side of the flavor see-saw: it burns. It burns in my mouth and it burns down my throat and I can even feel it burning in my stomach. 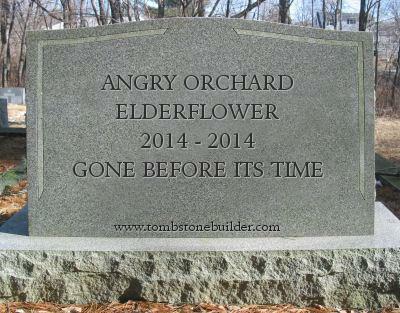 I get nothing but the burn, too — if there are cider notes or even raspberry to be found in the flavor, I don’t get them. So, clearly this cider is not my cup of tea (both literally and figuratively). 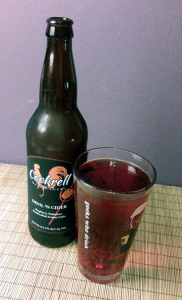 That said, I look forward to trying other offerings from Cockrell. They’re a local outfit, right down in Puyallup, so at some point I hope to swing by their tasting room which just opened up in December. If you’re in the area, you can also visit, or find them at a few stores in the Seattle-Tacoma area. Posted in Cider. Tagged 650mL, cockrell hard ciders, devil 'n cider. Posted in Cider. Tagged 650mL, american apple, jester & judge. This cider came down from BC, courtesy of my counterpart Andrea and our meetup at Welcome to Night Vale’s Halloween tour stop in Vancouver. It’s a pale straw yellow, 6% ABV, and very fizzy. From the fizz and the enormous head it poured, I’m guessing it must have been fermented with champagne yeast. The aroma is light, and a little cool in the way I think of pears as smelling and tasting somewhat cool. It’s distinct from the smell of a dry apple-based cider — Naramata used only pears in this cider, not a mix of pears and apples as some do. 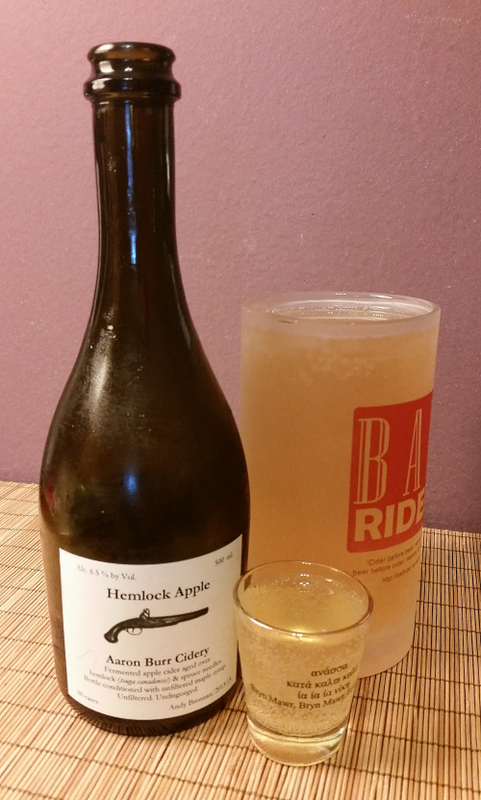 It is, as advertised, quite a dry cider, but the pear flavor still comes through, alongside with some woody elements. 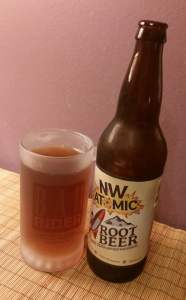 The dryness and carbonation combine to make it taste almost spicy, but not in a bad way. I bet it would actually be a good accompaniment to a spicy meal. In the past I’ve had dry perry that I really didn’t like (Sea Cider), and I think the difference in this case is the that the pear-ness of it isn’t getting dried into nonexistence. 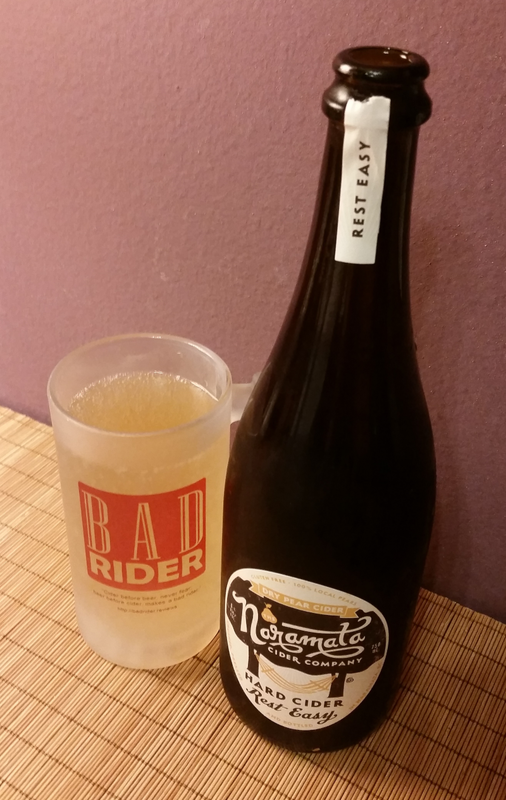 Good luck getting your hands on any Naramata cider in the States, but if you’re in the Lower Mainland or Okanagan areas of BC, you might be able to find it. I might have to make the trip up north to try out some of their other stuff. Posted in Cider. Tagged 750mL, dry pear, naramata cider, pear ciders. Earlier this summer, my Bad Rider partner in crime Andrea came down to visit and brought some cider from BC’s Left Field Cider Company for me to try. Most of it, alas, I drank without reviewing, but I’ve saved their award-winning Pear Dry and their “Bourbon Barrel” Cidermaker’s Select because I wanted to be sure to get reviews written for them. Today I’m covering the Pear Dry. 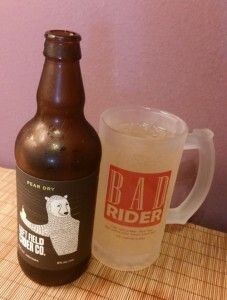 The Pear Dry has a distinct pear aroma, sweet and light — not surprising given it’s a 100% pear cider, not an apple/pear mix or an apple cider flavored with pear after fermentation. It’s clear light yellow in color and clocks in at 6% ABV. I can see why this cider has won awards. It’s got an interesting flavor — definitely pear-y, crisp, and quite surprisingly tart. 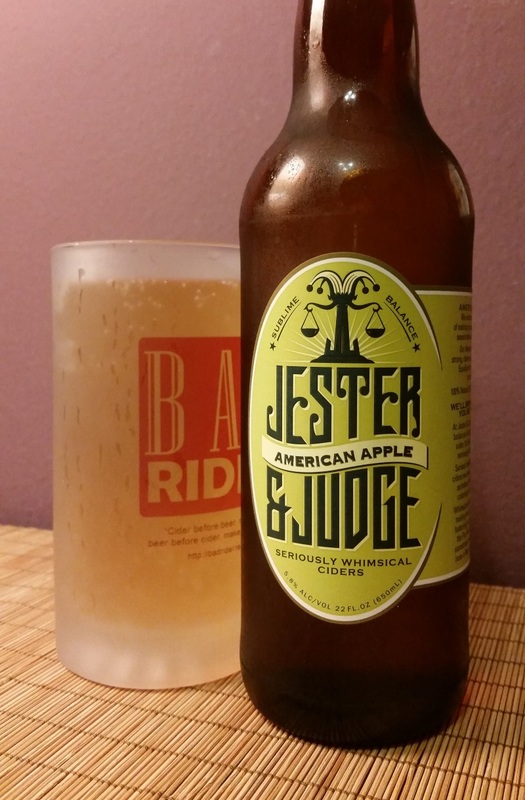 It does come in more on the dry side than the sweet side (though like the Big Dry and Little Dry, it’s not as dry as one might expect), and there’s an aspect of juiciness to the flavor that I don’t usually associate with dry ciders. This cider could be a really nice complement to the right meal, or a pleasant drink to have on its own. 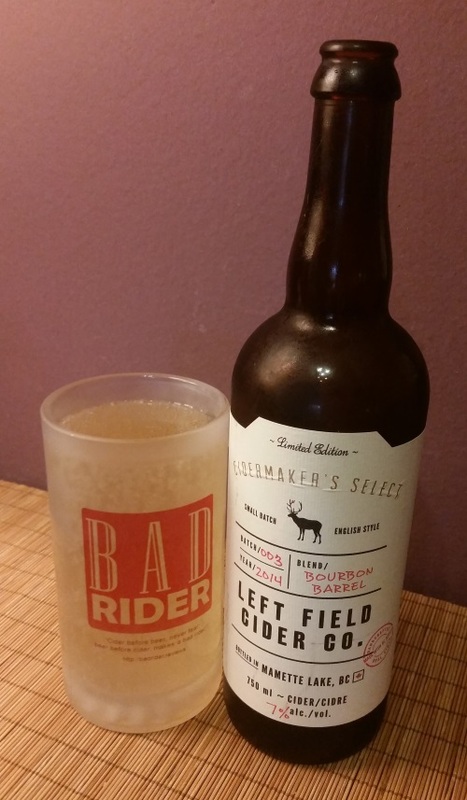 If you find yourself in BC or Alberta and can get your hands on some Left Field, I recommend giving them a try. Posted in Cider. Tagged left field cider co, pear ciders, pear dry.